Chelsea boss Maurizio Sarri has been installed as the new favourite in the Premier League Sack Race. The Blues chief saw his side humiliated at the weekend as Manchester City thrashed them 6-0. 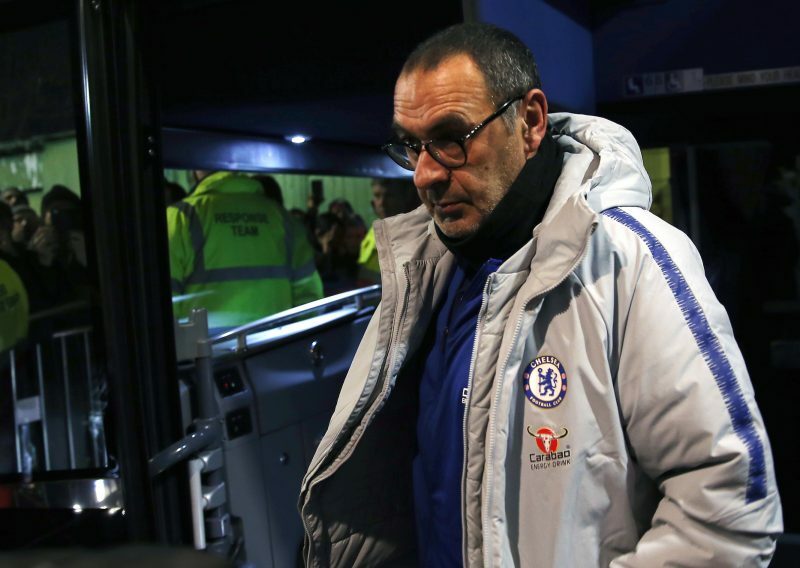 Sarri had begun the season in fine fashion going 19 league and cup games without defeat, but they have now lost four of their last eight games. After the match the Italian was quizzed about his future, but he insisted that was not his choice. Bookmakers have now reacted to Chelsea’s poor form by making Sarri the most likely to leave, taking over from Leicester’s Claude Puel and Marco Silva of Everton. Betway now make Sarri 2/1 to be going next. Betway’s Alan Alger said: “Losing 6-0 in any scenario is enough to pile the pressure on a manager let alone a Chelsea side that has been very hit and miss of late and has a history of knee-jerk dismissals. “Maurizio Sarri may have been partially forgiven for his side’s 4-0 loss to Bournemouth thanks to a 5-0 drubbing of Huddersfield, but we’re taking no chances after today’s embarrassment at the Etihad and make him just 2/1 to be the next Premier League sacking. Odds accurate; 11/02/2019 12:00 am.